Gorge Net » Managed WiFi: Product Reference Guide | Life. Business. Uninterrupted. Introducing an even better way to WiFi. eero is the hub of your connection. It has multiple Ethernet ports, tri-band mesh, and is designed for wired and wireless connectivity to fit anywhere in your home. Half the size of eero, these little powerhouses plug directly into any outlet to expand network coverage to every spot in your home – even hallways, bathrooms, and basements. 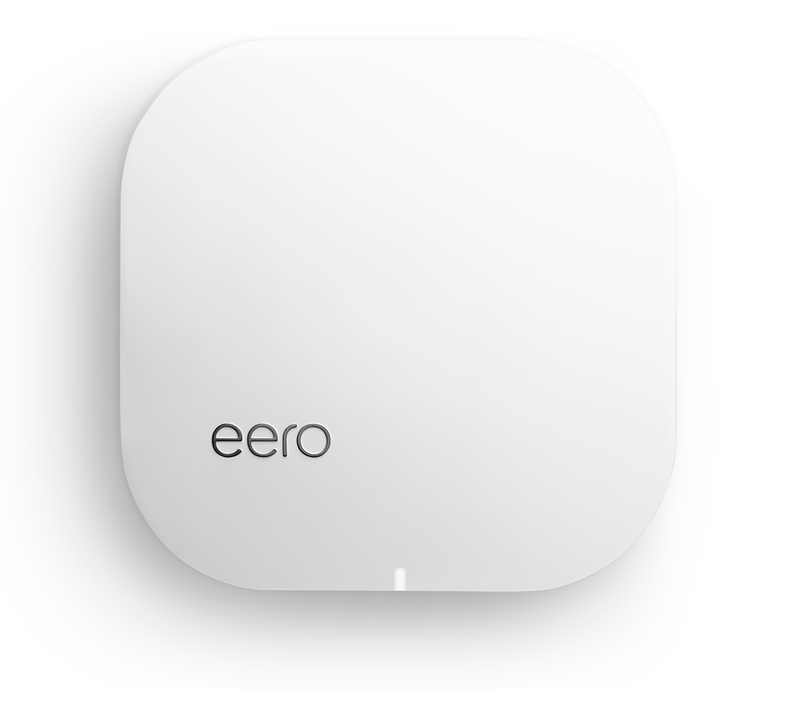 Download the eero app for iOS or Android. Walk through setup in the eero app. Rest easy, track and manage smarter WiFi. Restrictions apply. Activation and installation not included. $7.95 per month includes 1 base eero. Each additional eero beacon is $5.95 per month. For more information call 541-386-8300. All names, logos, images and service marks are property of their respective owners. ®2018 Gorge Networks Inc. All rights reserved. The app guides you through setup and placement in less than 10 minutes. eeros automatically connect to create a wireless mesh network. Unlike traditional routers, eero provides automatic security updates and adheres to the strictest security standards. If a vulnerability is discovered, we can quickly update every system. 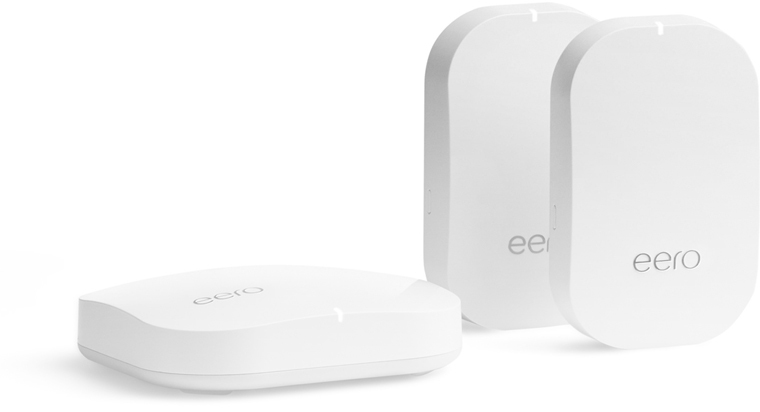 Customize or expand your WiFi by adding as many eeros and eero Beacons as you need. You can cover a home of any size or shape. The eero can use Ethernet or wireless connections in any combination. With the eero app, you can check your network status, connected devices, and run speed tests from the app dashboard. You can also set up a guest network and create profiles to set schedules and pause the internet on kids’ devices. eero works directly with Apple, Sonos, Ecobee, Amazon, and dozens of other leading connected home device brands to ensure that consumers’ favorite gadgets just work—no matter the “ecosystem” they’re from. eero software automatically updates every month, keeping your system at the cutting edge. Since last year, we’ve updated eero networks over 30 times, bringing improved performance, new features, and security patches. 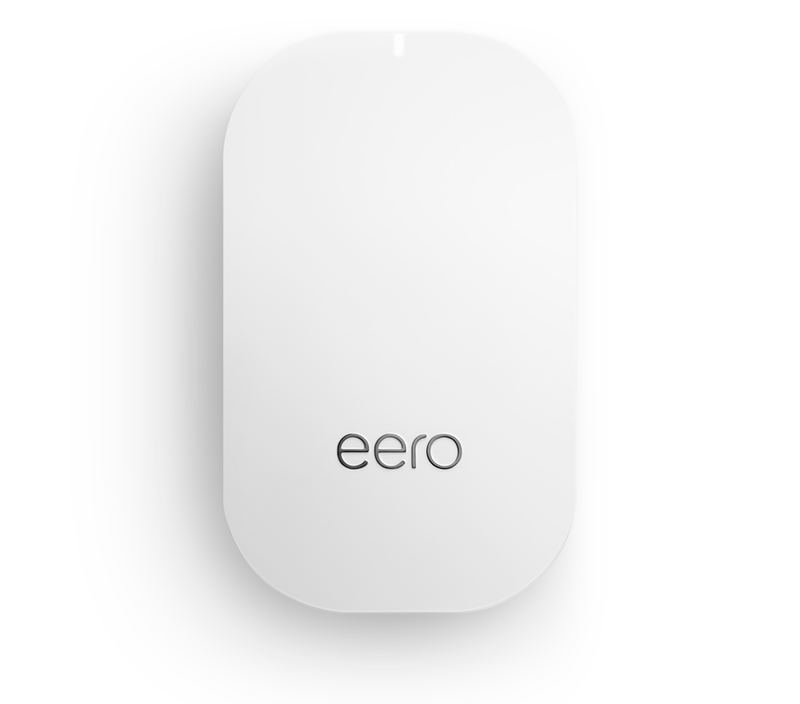 eero and eero Beacon are both designed to be compact and elegant, so they can be placed out in the open for optimal performance. Whether you’re into music, video, or gaming — or all of the above — eero’s got you covered. With its incredible low latency, fast speeds, and whole-home coverage, you can stream 4K video wherever you want, however you want. Supported iOS or Android™ device, Internet service (with cable or DSL modem, if required). Processor, memory, and storage (Both devices) 700 MHz quad-core processor, 512MB RAM, 4GB flash storage.